Hips for many of us are a constant source of ahhhh! It is one of the tightest areas of the body, and those of you who cycle or run and then sit at your desk… will feel very tight here!! Open hips are possible and here are some poses to help! Tight hips are often a source of lower back pain, and can have a big impact on how comfortable we feel in our body. I am constantly working to stretch out this area especially at the moment as the weather starts to turn. 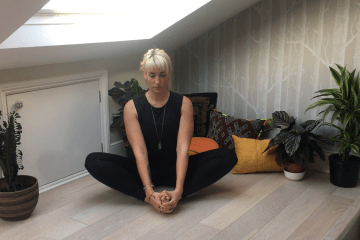 So here are my top 5 ‘go too’ yoga poses to open the hips, create space and release tension in this tight area. Little note, these are hips openers, keep the sensation in the hips, and awareness of your knees. 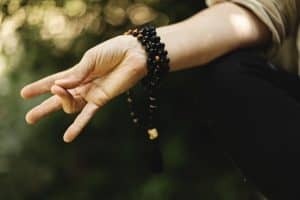 If anything doesn’t feel good in these poses ease yourself out and try a different pose! 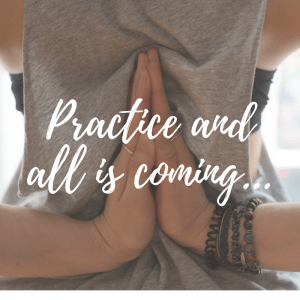 Practice and all is coming – This is a sentence we hear teachers say in class all the time. I always knew what it meant and accepted it, but I never really let it sink and resonate with me. Until today. I went to an upside down handstand focused workshop with one of my fav’ London based teachers Marcus Veda. Anyone who knows me, knows I love of being upside down and handstands in particular. Marcus started the class with a talk about expectations and how long (years) it has taken him to work up to where he is – an anti-gravity ninja for anyone who hasn’t been to his classes. I agreed with it all. I say it to my students all the time – We are not meant to master all of the poses, there is always somewhere else to take your practice, there is no end result or destination, it’s all in the practice, Abhyasa – slow and steady effort in the direction you want to go, you won’t be any happier when you can handstand the whole shebang. I say it AND MEAN IT in class all the time. There’s nothing quite like the sweet, delicious feeling of laying in Savasana after an amazing, sweaty yoga class. What makes it better? When your teacher comes around to make the smallest adjustment to your position – then boom it feels even more amazing.